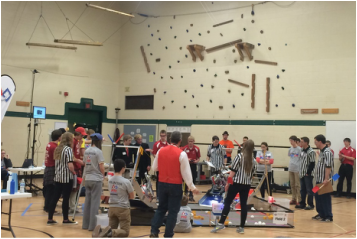 Click here to see pictures from the first Wisconsin Regional Qualifier of the 2015-2016 FTC Season! This competition was hosted by our friends Supposable Thumbs at MSOE in Milwaukee, WI. Here we qualified for the Wisconsin State Championship. 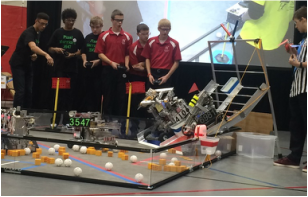 To see pictures of the 2016 Madison Regional Qualifier hosted by the BadgerBOTS program, click here! This was our second tournament competing in this season. At this competition we were one of the finalist alliances with our alliance partner, Straight Outta WisCompton. We also won the control award. If you wish to see pictures of the 2016 Wisconsin State Championship click here! On February 5th, our team competed in the Wisconsin State Championship; our team had a great time and was glad to see so many returning teams. We also made some great friends! Our team was the winning alliance captain with our partners (and friends) Supposable Thumbs and Pixel Warriors! Congratulations to all the teams!!! To see some pictures from the 2016 North Super Regional, click here! This competition was held on March 17 through March 19. We competed with phenomenal teams and were very happy to see so many new and returning teams from our multiple years of competing. Our team was the second ranked team in our division, which gave us the invitation to attend the World Championship in St. Louis, Missouri on April 27 through April 30. If you wish to see pictures of our team, and others, at the 2016 World championship, click here! This competition was held in St. Louis, Missouri and at the end of April. Our team, and many other amazing teams did a wonderful job in all categories of this competition. We also made some great new friends with teams not only in the U.S., but all over the world. In robot games, we ended up in 15th place overall at the end of the 4 day competition.